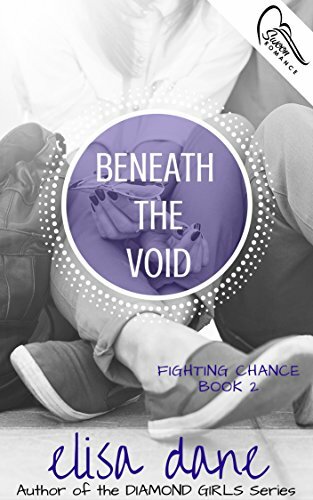 BENEATH the VOID is book 2 in Elisa Dane's Fighting Chance series, a hard-hitting and unapologetically raw look at teen violence in schools and the aftermath of learning to pick up the pieces and heal. 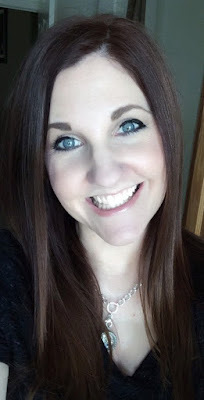 OMG I can't believe I have the please of interviewing one of my favorite indie authors Elisa Dane. I discovered Elisa on Instagram and have been hooked on her books ever since. This book was no different. Here are the answers to some of my burning questions. Audio or book in hand? Book in hand. Though, I will say I've been listening to a lot of audio books this year while I do housework etc. Great way to pass the time! Adult or Young Adult? Young Adult, though I love adult romance. Series or standalone? Series! When I fall in love with a character, I want to read more about them. Breaking the spine or barely opening the book? Barely opening the book! I'm picky about broken spines. Borrow or buy? Buy! I always want to support my fellow authors. Bookstore or online? Well, I prefer a bookstore, but since they closed the only B&N close to me, I'm gonna have to go with online. I do get to travel out to Half Price Books on occasion, and that's always fun. Fiction or non-fiction? Fiction all the way! What inspired you to write your first book? I'd just finished reading the Twilight series and got the writing bug. What book are you reading now? I just finished listening to the Rock Chick series by Kristen Ashley on Audible. I've also started Queen Of Shadows by Sarah J. Maas, but haven't had much time to read it. Hoping that changes soon! Who is your favorite author and what is it that really strikes you about their work? For YA, I'm going to go with SJM. I was swept away by ACOTAR and ACOMAF. Her characters are rich and endearing, and her writing is superb. For adult romance, I adore Kristen Ashley. She's my new favorite. Fun characters, witty writing, and great plots. What were the challenges (research, literary, psychological, and logistical) in bringing your books to life? I'm lucky enough to have a police officer for a hubby. He specializes in school safety, which was a bonus for me as I had access to a great deal of facts and procedures. It was important to me to be as realistic as possible with this series, and feel blessed to have had his input. Do you indentify with this character (Sadie Reynolds) or is she a complete work of fiction? Sadie is a complete work of fiction. I knew I wanted to write a story about a school shooting, and I knew I wanted to create a character that needed to overcome many obstacles. I put poor Sadie through the wringer, but she's rising to the occasion!